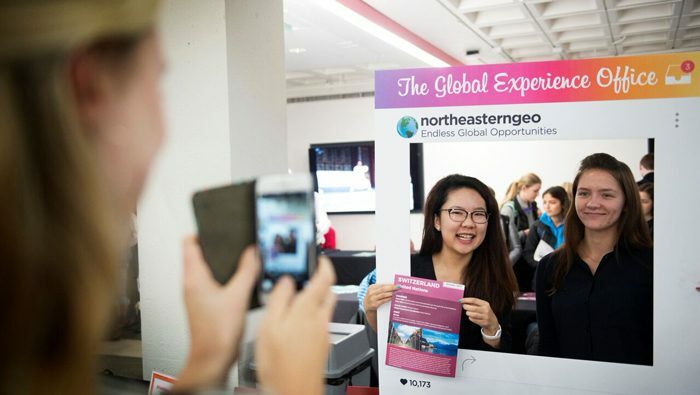 Northeastern is a truly global university, with more than 7,000 international students studying here each year. Some programs may have additional requirements, such as a letter of recommendation, resumé, or statement of purpose. Applicants should visit the page of their program of choice to ensure they submit all required materials. If an international student is admitted into their desired program and chooses to enroll, they will then need to complete a myISSI request along with the required support documents for an I-20. Applications are reviewed on a rolling basis, so students can apply throughout the year. There are specific deadlines for each term, however. International students who do not meet the entry requirements for their desired degree can enroll in Northeastern’s Global Pathways Program, which will help boost their English language skills and academic knowledge before they enroll in a bachelor’s degree program. Students who have completed 50 undergraduate credits can earn a bachelor’s degree in just 21 months, or others can join the American Classroom Program, which is a part of Global Pathways. Through the American Classroom Program, students can earn up to eight to 16 credits that can later be applied toward their bachelor’s degree. More information can be found on the College of Professional Studies website. College graduates earn 74% more than high school graduates.